These peaceful spiritual gardens are beautifully laid out around a pretty Georgian house overlooking the river Barrow. Topiary, lawns, herbaceous and mixed plantings combine with architectural features and ornaments to provide an enchanting series of enclosures. A Large water garden extends into woodland planted with rare and tender trees and shrubs. The large Organic fruit and vegetable garden has been opened to the public this year. Originally started in 1947 these gardens host a wide selection of rare and tender trees and shrubs. With over 130 different species the garden is a delight to both the keen amateur and the more serious horticulturist. Presently Kilmokea Gardens holds an Irish Heritage Garden certificate which is a justifiable reward for 65 years of creation and dedication. Within the walled garden its rooms lead from one design feature to the next. The Italian loggia and pool with its fine stone pillars is the perfect resting area from which to look across the garden to the quarter garden brimming with Iris and Roses. The herbaceous border is full of old-fashioned plants featuring the 'hot" colours of the red Maltese cross lychnis and foamy yellow thalictrum. The woodland garden, with its host of winding paths provides an exciting display of exotic plants. Cultivation of this area began in 1968 with the excavation of the large pond. It was here that a millstone and flume from a horizontal mill were found dating back to the 7th Century The acid soil of this lower garden provides the perfect environment for Rhododendrons, tender Camellias eucryphias and magnolias not to mention Echiums, the giant borage which is closely associated with Kilmokea. 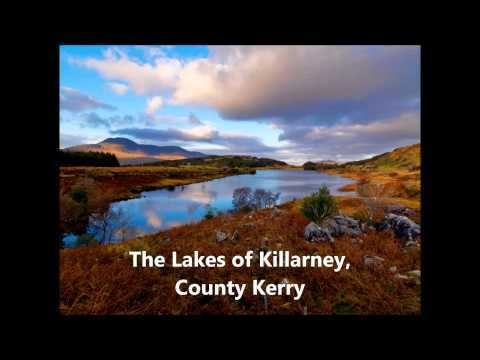 Kilmokea is a delight to view in the Spring with its mass of flowers, Summer with the Herbaceous plants at their height, Autumn with its subtle changing of colours and Winter with its fine silhouettes.